Proprotein convertase subtilisin/kexin type 9 (PCSK9), is an enzyme which in humans is encoded by the PCSK9 gene.This gene encodes a proprotein convertase belonging to the proteinase K subfamily of the secretory subtilase family. This protein plays a major regulatory role in cholesterol homeostasis. PCSK9 binds to the epidermal growth factor-like repeat A (EGF-A) domain of the low-density lipoprotein receptor (LDLR), inducing LDLR degradation. PCSK9 may also have a role in the differentiation of cortical neurons. (1) Mutations in this gene have been associated with a rare form of autosomal dominant familial hypercholesterolemia (HCHOLA3).(2,3). This protein carries a polyhistidine tag at the C-terminus.The protein has a calculated MW of 75.1 kDa. The protein migrates as 20 kDa and 65 kDa under reducing (R) condition (SDS-PAGE) due to glycosylation and proteolytic digestion. Less than 1.0 EU per 1 μg of the rhPCSK9 by the LAL method. >97% as determined by SDS-PAGE. All lots are greater than 97% pure. 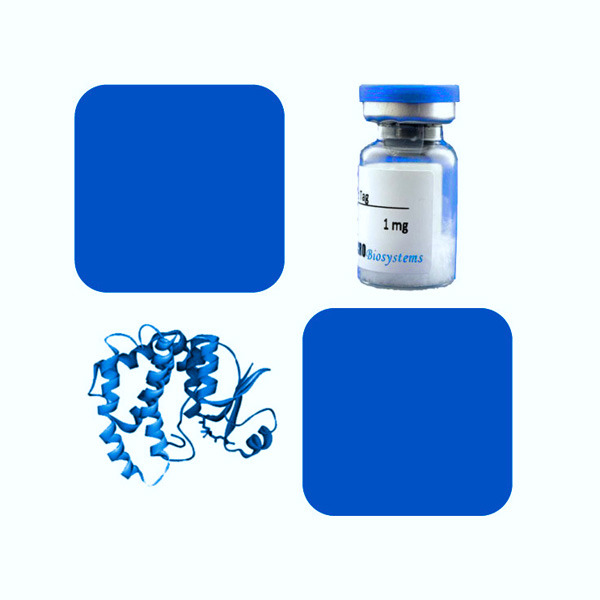 Bulk protein in a 0.22 μm filtered solution of PBS, pH 7.4 and delivered as liquid formulation or lyophilized powder.Normally trehalose and mannitol are added as protectants before lyophilization. Immobilized Human LDL R, His Tag (Cat. No. LDR-H5224) at 10 μg/mL (100 μL/well) can bind Human PCSK9, His Tag (Cat. No. PC9-H5223) with a linear range of 0.031-0.125 μg/mL (QC tested). FACS analysis shows that Human PCSK9, His Tag (Cat. No. PC9-H5223) inhibits LDL uptake in HepG2 cells. The EC50 for this effect is 0.2857-0.4668 μg/mL. (1) Seidah NG, et al., Proc. Natl. Acad. Sci. U.S.A. 100 (3): 928–33.